Are you a proud supporter of Grammy Award-winning musician Melissa Etheridge? 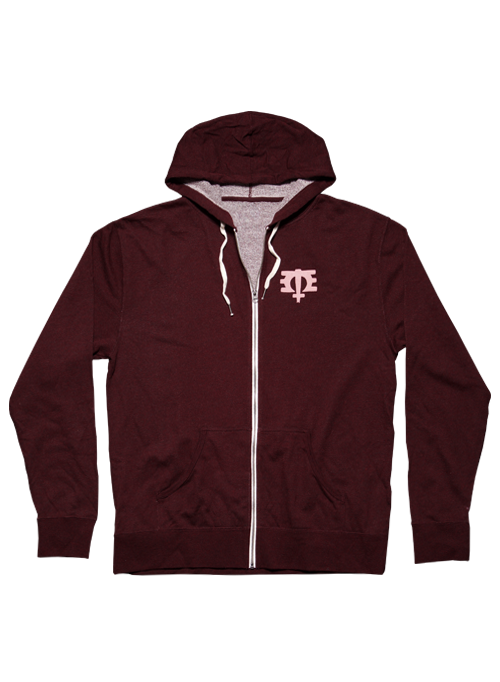 If you are, this beautiful Melissa Etheridge heather burgundy lotus zippered hoodie will keep you warm in cooler weather while you show everyone your dedication to this fine artist. Her ME initials logo is printed on the front left pocket, and her lotus art with guitar plus her name and symbol is on the back. This high-quality unisex French terry zippered hoodie is durable and cozy. It's also a great fashion statement, whether you're at one of Melissa's outdoor performances or just to let people in your hometown know that you're a big fan.